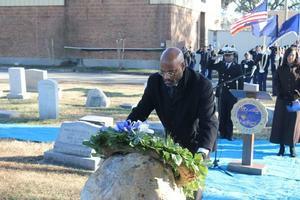 Sr. Vice President Paul Harris lays the wreath at General Armstrong's grave. 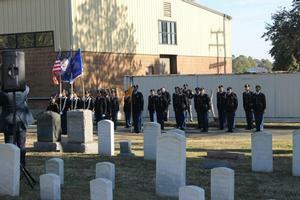 The honor guard and bugler render a tribute with a three round volley and taps. Dr. Harvey gives a speech before the ribbon is cut for Legacy Park. 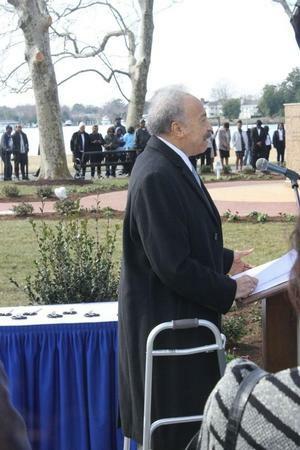 HAMPTON, Va. (January 29, 2019) -Another Founder's Day is completed at our Alma Mater, a weekend filled with activities that should inspire Alumni to have a little more pride in Hampton. Each of us has so much invested in this institution of higher learning that must remain standing in the next 150 years and beyond. Pulling together, the task becomes a little easier, but it will take all of us to make it a reality. We hope each of you will dig in and share a little more of your time, talent, and treasures.